← ‘Big Top’ Holiday Theme for Children’s Holiday Club in Carrigaline and Crosshaven Church of Ireland Parishes. 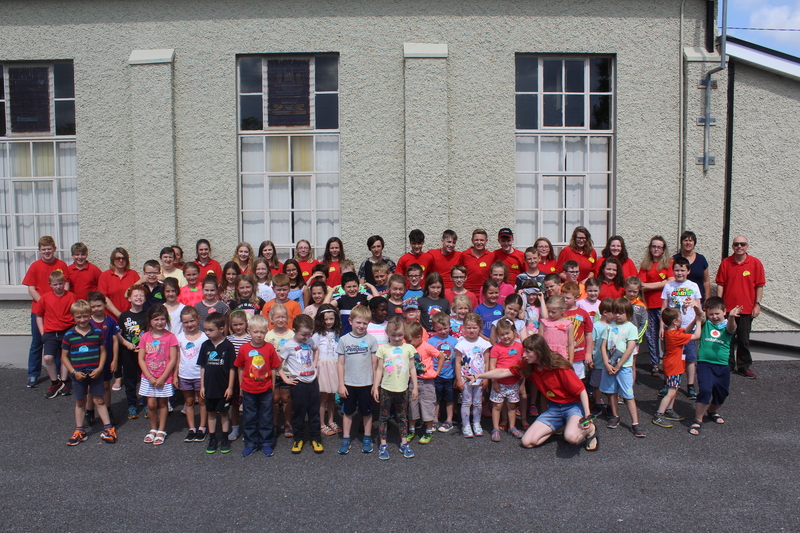 The Big Top Holiday Club in the Fanlobbus Union of Parishes (Dunmanway, Drinagh, Drimoleague and Coolkelure, County Cork) took place in ​Cox’s Hall in Dunmanway from the 9th to the 13th of July. There were 55 children, 25 teenagers and 12 adult leaders there for the week. We looked at the life of five Old Testament characters and their role in serving God; how, in spite of their weaknesses, God gave them the strength to serve him and his people. The story each day was told through drama, puppets, song and explored though crafts and worksheets. ‘The Big Top’ in Fanlobbus Union of Parishes. This entry was posted in Children's Ministry, Children's Work, Holiday Club. Bookmark the permalink.